Get a better understanding of Transformational Discipleship and start a conversation with your team about implementing its principles in your church or small group. But how do people really grow? 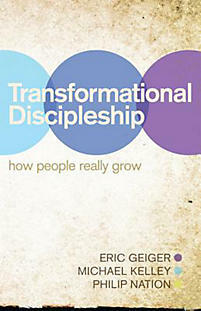 Transformational Discipleship describes the process that brings to life that kind of person described in the Bible. There’s no magic formula or mantra to recite here, but rather a substantive measure of research with churches and individuals who have wholeheartedly answered the call of Jesus to make disciples. A compilation of their wisdom and stories, it surely guides church leaders and members to practice the intentional efforts needed to foster an entire culture in which people grow in Christian faith. And they will grow, not because of human research, but by the power of the Word and of the Holy Spirit working through the church—the same way disciples have always been made. When the people of God engage in the mission of God through the Spirit of God, lives are transformed.